From The Jam features original members of The Jam: Bruce Foxton and Rick Buckler joined by Russell Hastings to perform all The Jam's greatest hits and classic album tracks including Start, Going Underground, That's Entertainment and other Jam originals written by Bruce Foxton including News of The World and Smithers-Jones. 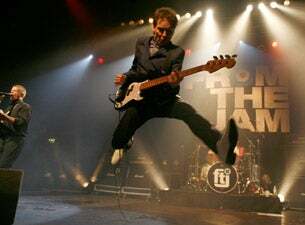 A totally sold-out and rapturously-received From The Jam show was recorded in December 2007 at London's Kentish Town Forum and will be released as the "‘A First Class Return' From The Jam", DVD on 9 June 2008 through Invisible Hands Music. This release captures the truly electric celebratory atmosphere, the band's pervasive love of the songs plus the incredible crowd participation and feedback.